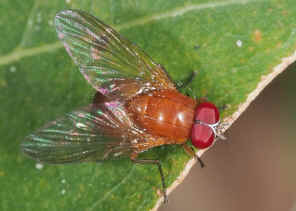 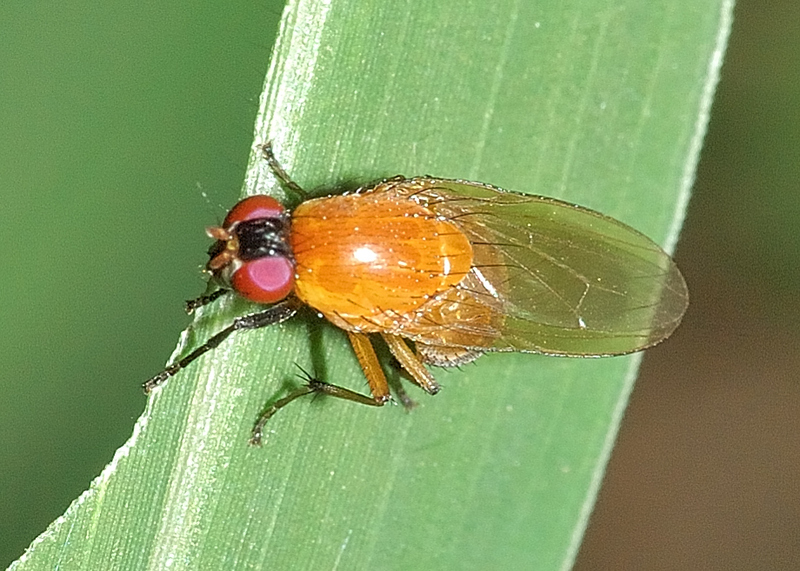 Common Lauxaniid Fly - Sapromyza sp. 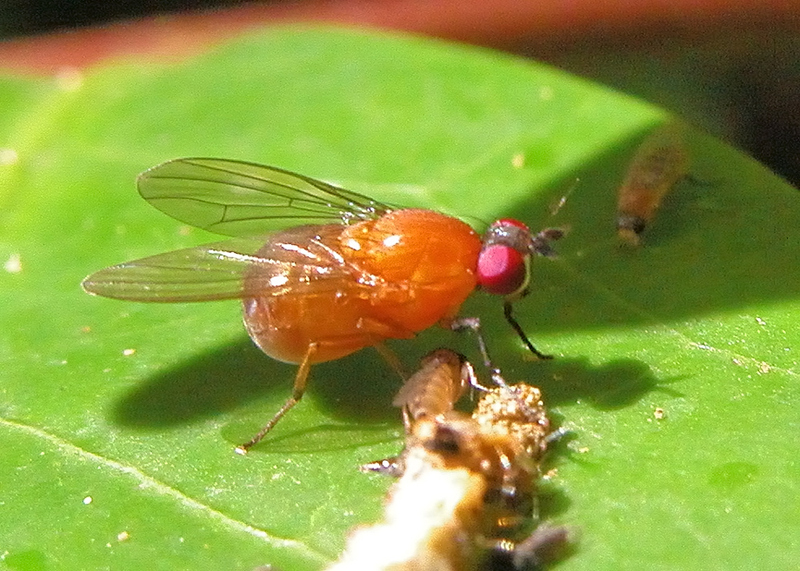 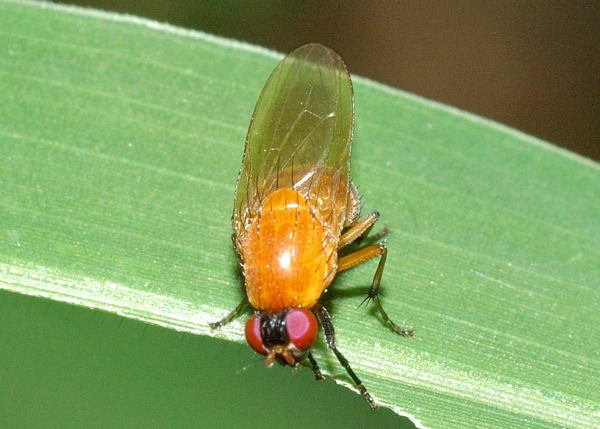 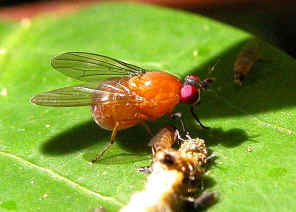 Orange Lauxaniid Fly I - Sapromyza sp. 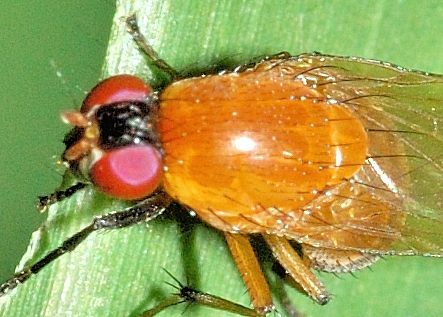 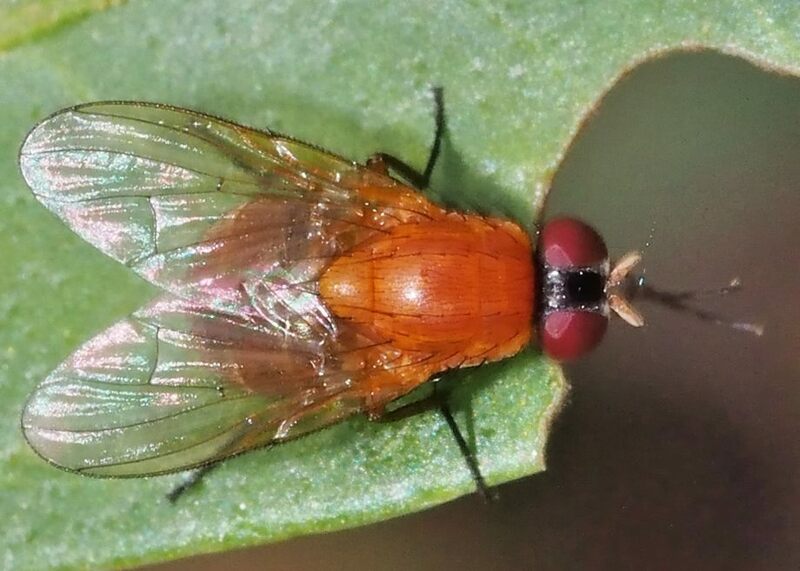 This page contains pictures and information about Orange Lauxaniid Flies that we found in the Brisbane area, Queensland, Australia. The fly was also found in a rainforest near Mt Nebo attracted by dropping on leaf. 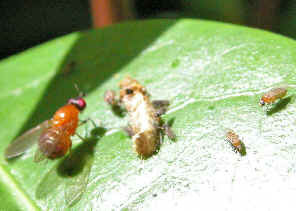 Picture was taken in Yimba Park during early summer 2007 in the evening. 1. Australian Insects, An Introductory Handbook - Keith C. McKeown, 1945, p231.